What Is Reaction Injection Molding? Design Octaves, Inc. has been in business since 1979 as a full-service RIM (Reaction Injection Molding) supplier. We specialize in molding complex parts (up to 65”) in low volumes from 100 to 5000 pieces per year. All of the Dow RIM materials we mold are UL94V-0 rated for flammability. We build all of our composite aluminum/epoxy tooling in-house and we guarantee every tool for a minimum of 10,000 cycles. 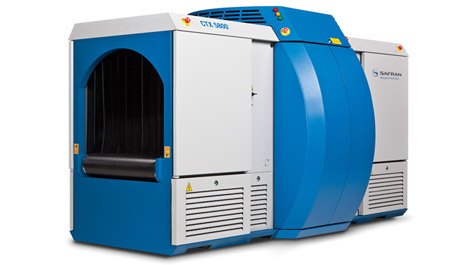 Design Octaves also provides the following in-house services: molding, painting, UL certified EMI/RFI shielding, silk screening, and value added assembly. We have 40 employees and own our 21,000 square foot facility here in Soquel California (about a 40-minute drive from the San Jose airport). Our parts are molded with all details in place with no secondary machining or gluing operations required. We routinely mold-in complex undercut features using CNC machined core pieces. We mold all of our threaded inserts in place during the molding operation. We are one of the few RIM molders who mold threaded inserts in place and that provides the advantage of better locational repeatability and much better pull-out strength compared to threaded inserts installed as a second operation. 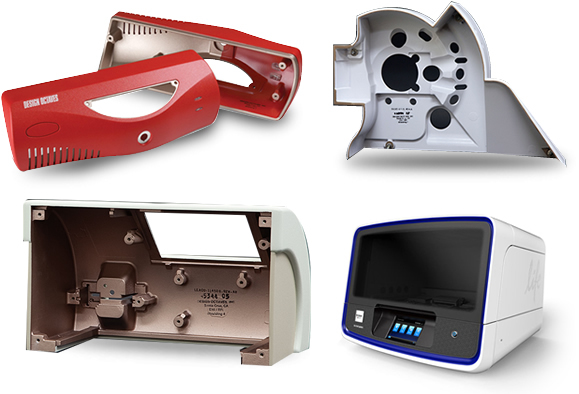 Design Octaves is a supplier of custom high-quality enclosures to many of the leading medical and lab device companies. We are ISO 9001:2008 certified and have an excellent Quality Management System in place. Design Octaves would love the opportunity to discuss your project with you as well as provide you a guided tour of our Soquel, CA facility. We believe that the best way to demonstrate our streamlined production methods, exacting quality standards, and pride of workmanship is to show you firsthand with a visit through our factory. Contact us today and send us your files for review.